Miss of America is a part of the American Pageants family of programs. The Miss of America Pageant was designed specially to provide recognition in a positive setting. It also provides the opportunity for growth and development. In short, the event is a significant step to encourage continued success as a young adult. It recognizes girls who have been acknowledged for their scholastic accomplishments, professional achievements, leadership abilities, and personal achievements or accomplishments. The pageant’s six judging categories are designed to provide a fair judging format which focuses on achievement. The event includes fun, friendship, and memories to last a lifetime! 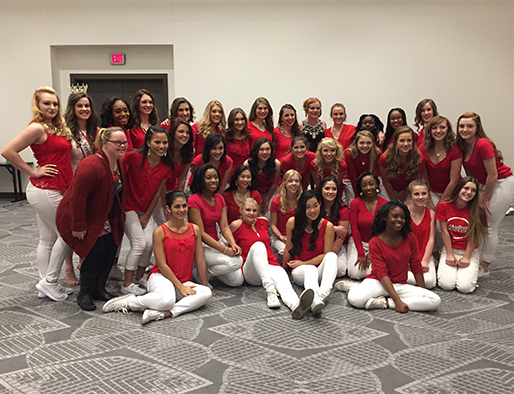 As you discover more about American Pageants, we hope that you will discover the positive influence that being a part of the organization will have on you and your future endeavors. We welcome you to come and experience our program for yourself! Participants must between 19 and 26 years old as of January 1 of year of competition.